How do I know ABC Nanny Source is sending a trustworthy caregiver into my home? Would you invite just anyone into your home? Neither would we. Privacy and security is absolutely necessary to a happy life. Our extensive 10 Step Screening Process includes a Social Security Trace, driving record checks, criminal background investigations, reference verification, a personality evaluation, CPR Certifications and more. We assure you that each ABC staff member goes above and beyond; in confidence we present first class, qualified, and safe nannies. Does ABC Nanny Source recruit locally or nationally? Are they considered a National Online Agency? ABC does not discriminate nannies based on ethnicity, religious preferences, age, or any other means of disqualification other than the safety and requirements stated in our assessment. Each individual interviews with a trained ABC Staff member, identification is verified, CPR is verifed or obtained, ABC verifies the candidate is authorized to accept employment in the United States and a personality evaluation is performed. We will walk through each step with our candidates as clearly as we can, making it stress free and joyful to become an ABC Nanny! Each candidate has an in depth, interview detailing their experience and qualifications. The amount of care that ABC Nanny Source puts into each and every candidate is an impossibility for the National Online Companies. Our credibility surpasses that of a national agency, all the while, our passion is to serve locally! What languages do your nanny speak? Is English their primary language? 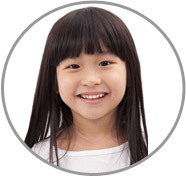 Many of the Nannies in our database are multilingual; It is a requirement at ABC Nanny Source that each candidate can read, write, and speak English fluently. If you have a preference in addition to English,let us know in your application and let your placement counselor know when discussing details for the position! Can we find the perfect match!? Is it possible to find an ideal fit between Family and Nanny? Each Nanny will be familiar with your local area and are placed within a 30-minute radius of their home. In order to find the right match for each family, there are many factors to take into consideration. Secondly, each ABC Nanny must understand the position and feel completely comfortable with the entire job description and the unique needs and requests for your particular circumstance. For example, if you have twins or a newborn infant, your ABC Placement Counselor would only send you candidates that have previous experience handling these particular situations! For example, if you have a newborn infant, your ABC Placement Counselor would only send you candidates that are completely comfortable and experienced with caring for newborns! ABC Nanny Source certainly is successful with the art of pairing lovely families with amazing nannies. It’s important to communicate the wages (hourly/salary) up front; this prevents confusion on either end. Families also have the option to specify a detailed description in regard to the “style” of Nanny they are looking for. For example, if you are looking for a Nanny who is bubbly, professional, nutritionally-minded, nurturing, or any other specific quality, we will find the one for you! We work tirelessly to present candidates that meet your criteria, being presented with the best suited individuals for your position! What Type of nannies does ABC Nanny Source represent? Full time live out, full time live in and part time live out nannies are all represented by ABC Nanny Source! What is the difference between hiring someone online myself, using online sources or ad postings? What does ABC Nanny Source provide that I cannot do on my own? First, you will save countless hours going through endless candidates that are not qualified for some reason or another. Just imagine, with ABC’s 10% average acceptance rate, in order to find the 5 candidates that ABC will present to you, you would have had to interview, screen, and perform clearance checks on 50 applicants!!! Working professionals or busy parents like yourself don’t have that kind of time. Second, all ABC Nannies have undergone extensive interviewing, comprehensive reference checks, a Social Security Trace, criminal background and a driving motor vehicle report long before ever being presented to you for consideration. Additionally, any nanny presented to you for consideration has already expressed a strong desire to work for you and care for your children. With an online search, you could put much time, effort, and expense into searching and clearing a potential caregiver, only to find out that she isn’t truly interested and was just “seeing what’s out there”. Lastly, ABC Nanny Source has a one year guarantee, which states that in the unlikely event that your Nanny does not work out, we would certainly work as quickly as possible to find you a suitable replacement. What are the expenses of ABC's services? ABC Nanny Source will initiate the complimentary search at no charge but does require a valid credit card that can be authorized and funds held for the minimum hiring fee based on the type of service requested. You’ll be offered a personal consultation with a placement counselor, after which you will need to fax or email the required referral agreement to begin your nanny search immediately. The hiring fee will be applied after extending an offer of employment to the nanny of your choice, and the nanny's acceptance of the offer. You will be charged/billed to the credit card you provided at the time of registration unless other arrangements have been requested. You can generally expect to begin reviewing potential candidates within a few days of filling out the registration form. We offer a ONE YEAR unlimited search Guarantee with a low fee. Speak with your placement counselor for additional information today! Full-Time Live Out Nannies that are needed for 40-55+ hours per week are provided to you at a fee of 14% of the Nanny’s anticipated gross salary with a minimum of $3400. Part-Time Live Out Nannies that are needed for assistance with weekly needs between 25-39 hours per week are provided to you at a fee of 16% of the Nanny’s anticipated gross salary with a minimum of $2800. Full-Time Live In Nannies that are needed for 50-60+ hours per week are provided to you at a fee of 14% of the Nanny’s anticipated gross salary with a minimum of $3400. What is the average salary/wage of a ABC Seattle Nanny? Each family has their individual circumstances, and depending on the position, description, and how many children are in the family, hourly rates for nannies can vary widely. Generally, based on the experience the nanny has to offer to the family, hourly rates will fall between $20-$28+/hour. In Seattle you can work up to 39 hours and still classify under the umbrella of part time. Full time live out nannies are often on duty between 40-55/hours per week! Hourly rates above could be slightly reduced or increased based on the situation. 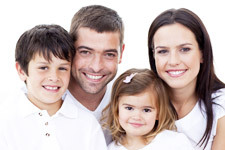 Every family has particular needs that we will need to evaluate and analyze at the time of registration. Your placement counselor will provide you with a clear range of what you should expect based on the job description and quality of candidates in the offering. Regardless, each of the final salaries offered to the nanny will be determined by the client. ABC Nanny Source only makes suggestions based on our perspective, but we always defer to you and your choices! Do you have a minimum hours each nanny works? Yes. All ABC's Part Time Nannies do require a minimum of 25 hours per week. There is no maximum hours, but most work weeks cap around 60, even in the most extreme situations. Does ABC Nanny Source offer Live In Nannies? ABC Nanny Source does proudly offer Live In child care. We offer candidates from your local community, so your nanny will love Seattle as much as you do! Our Live in Nannies require the same assessments and more to be considered for each position! Do ABC Nannies take pets for walks? Will they help with chores when the children are napping and in school? Certainly! Pets are definitely a part of the family and most nannies would love to assist your pets while they are on duty! If you have cats or dogs, you'll meet with individuals who are equally as passionate about your pets! We will always send candidates with the characteristics matching the unique circumstances that arise. Many of our candidates are multi-talented at multitasking! They would love to assist however they can, whether its running an errand or providing light housekeeping during any down time! The fee for hiring is easily made by Visa, MasterCard, American Express, or Discover. 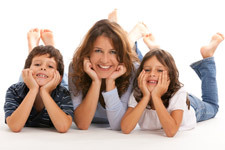 We present these most highly experienced nannies from you local community! First class nannies that come with an abundance of credentials and experience! ABC Nanny Source’s Seattle Nannies are hand selected based on a wide variety of factors and requirements. There are hundreds of candidates that apply to be represented by ABC. We only accept around 10% of those applicants. We screen for the most sought after individuals in the industry for our families to choose from! ABC Nannies have all successfully passed our ten step process. They are excited to make the perfect addition to your family!